‘The Pied Piper’ is a poem by Robert Browning, first published in 1842. It deals with a rat infestation. 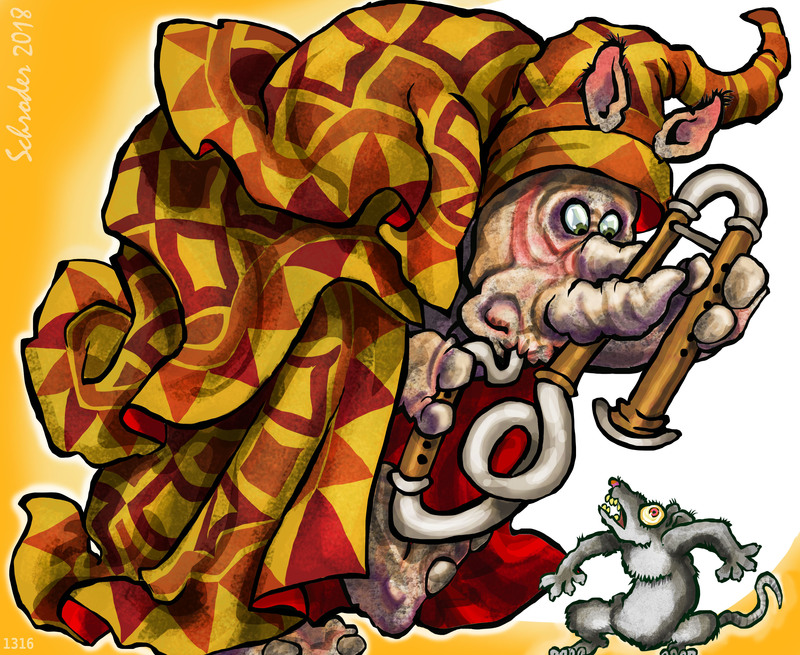 The Piper rids the town of rats, but can’t collect his fee. Eventually he also has to get severe with the rats who run the town. Rhinos debate this story and its message. If you wish to join in that debate, We suggest you reread the poem. It’s just a wee bit grim. No, not Grimm, grim. My home town in Germany is quite close to Hamelin, but I never heard of this poem. Thanks for bringing it to my attention!